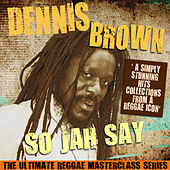 Known as the Crown Prince of Reggae (Bob Marley is still king), Dennis Brown's voice was capable of conveying both romantic themes and conscious Roots topics. 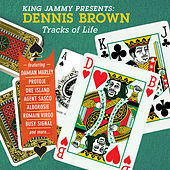 Brown, who passed away from respiratory failure in 1999, began as a young Roots singer, working with producers such as Coxsone Dodd and Niney the Observer and adding his wails to many backing and solo efforts. With more than eighty albums recorded, Brown has a tremendous catalog -- from the sweetest Lovers Rock to more recent Dancehall. His steady soulful vibrato can melt you like a candle.